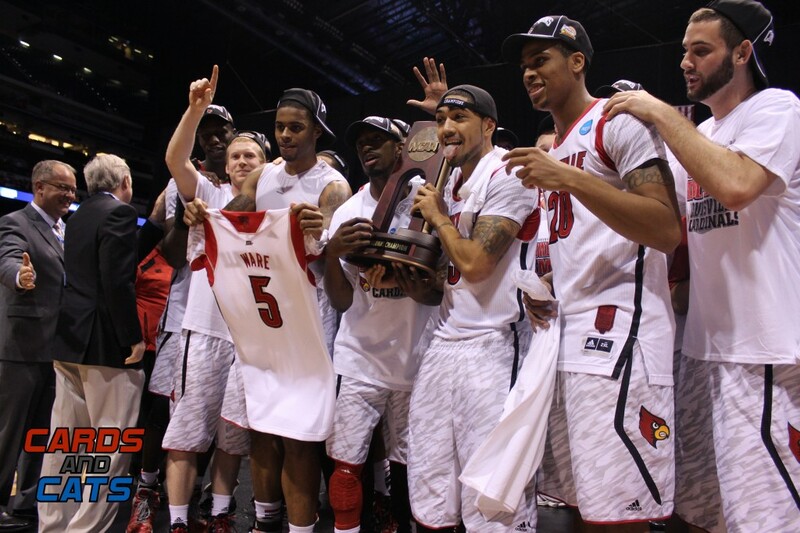 Just when I hadn’t been back in studio for a while, word came down that a number of players from the 2012 and 2013 Louisville Cardinals Men’s Basketball team were contemplating a lawsuit against the NCAA. I suppose all good things come to an end. So on Wednesday I walked over to the Galt House to watch what was much anticipated, and widely viewed by media, fans, and rivals alike. To say that there was something for everyone would be a fair statement. Then, I drove to ESPN 680 to talk about it with my good friend Biscuit, and all of you. Since my niche’ is the legal analysis portion for these types of stories, I will begin with the legal players involved in this case and then jump into the nuts and bolts of the lawsuit itself. For starters, the case is being handled by Morgan and Morgan. Say what you will about civil trial lawyers, of which I am one, no one can dispute that John Morgan has built an empire. His firm has multiple million dollar verdicts, and reportedly a $1.2 billion dollar verdict or settlement against B.P. Bottom line, the dude and his team are no slouches. While John Morgan brought his considerable team to Louisville on Wednesday, his delivery was clumsy, and his errors in pronouncing his clients’ names, were only compounded by his inarticulate discussion of the NCAA and the “one and done rule.” These may be minor things to John, and in the grand scheme of things, they are, but in basketball crazy Kentucky, with local celebrities as clients, you have to get these things right. Strike one came early. Let me say at the outset that lawyers are incredibly verbose. A stage full of lawyers, a high profile case with a lot of public interest and we had all the ingredients for the filibuster performance we witnessed. Couple all of this with the self promotion, the advertisement for the firm prominently displayed in the background, and you can see why more than one caller to The V-Show believed that this may be just a publicity grab for one of the largest plaintiff’s firms in the country. Enough about the show that we all witnessed on Wednesday, let’s talk about the Complaint itself. Paragraph One begins the Complaint by identifying the Plaintiffs in the case, as well as the Defendant, NCAA. We get a view at what the Plaintiffs are seeking. They want all five of the named plaintiffs to be declared eligible, and to have the court recognize them as “completely innocent of any wrongdoing as implied by the NCAA…” The Complaint goes on to ask the court to recognize and declare that the five plaintiffs were NCAA Champions, Big East Champions, AAC Champions, and that Luke Hancock was the 2013 NCAA Final Four MOP. Lastly, paragraph one requests that all of their individual awards remain intact. To unpack that a bit, this tactical play is seeking a court to enter a judgment that recognizes not the University of Louisville, but these 5 plaintiffs specifically. They are looking for their individual records and awards, and it appears that it is a clear attempt to show that they have standing to bring these claims. It’s a novel approach, and it is also a long shot, but hey… Shooters shoot, right? Beginning in paragraph 10, the Complaint describes the disciplinary procedures for Individual Competition, and also Team Competition. The Complaint begins to lose steam however in paragraph 12 when the Plaintiffs are all identified as individuals, and the argument is advanced that because these individuals were all eligible, their records should not be taken away. By twisting individual procedures to fit in a team scenario, the Complaint seems to indicate that the NCAA is somehow misapplying their process. Nothing could be further from the truth. The next several pages further outline who the parties are, detail the players individual accomplishments, and describe where the parties live. All of these things are horrifically boring for most everyone, but all of them are necessary to prove venue is correct, and jurisdiction (the ability for the court to hear the case) is accurate. Ultimately, on page 6, the Complaint spells out the first tort the NCAA is accused of. False Light. So the question is, were Hancock, Van Treese, Marra, Dieng and Henderson subjected to false statements by the NCAA that were highly offensive to a reasonable person? Alternatively, did the NCAA have knowledge of, or act with a reckless disregard? To be honest, I haven’t seen anywhere in the record where these five players were alleged to have committed any infractions. They were not named individually, they have not been held up to the community for public scorn by the NCAA, and the Complaint doesn’t say that they were. Instead, in paragraph 39, on page 6, the Complaint says that the NCAA implied that the Plaintiffs’ actions led to the revocation of their victories, championships, and individual honors/awards from the 2011-2012, 2012-2013 and 2013-2014 men’s basketball seasons. This is a stretch of epic proportions. 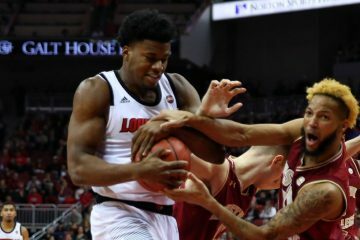 The NCAA, and the member institution (U of L) agreed that rules were broken by staff, and players. There was no naming of the players involved, specifically the five Plaintiffs were not named. It appears that this portion of the claim likely fails. 1. Conduct, including acts, language and silence, amounting to a representation or concealment of material facts; 2. The estopped party (The NCAA) is aware of these facts; 3. These facts are unknown to the other party (The Players); 4. The estopped party must act with the intention or expectation his conduct will be acted upon; and 5. The other party in fact relied on this conduct to his detriment. None of this makes sense does it? Essentially, the players complaint can be summed up in paragraph 61 – “As part of that broad representation, the NCAA led the Plaintiffs to believe that any and all wins, championships, awards, honors and achievements the Plaintiffs earned as eligible student-athletes would be theirs, in perpetuity, absent a specific finding the they, individually, were ineligible.” Except, there was arguably no reason for the players to believe that they would own individual records. Men’s basketball is a team game. Ineligible players on the team, negate their participation, and therefore the NCAA is within their rights to vacate wins, championships, and records. The language allowing the NCAA to do this is cited in the Complaint for God’s sake. Because of this, I don’t believe a good faith argument can be made for Count 2. Count 3 is for Breach of Contract. It essentially argues the same points as the Promissory Estoppel argument from Count 2, but it ties itself into the University’s contract with the NCAA to participate in their tournament. Again, this appears to be a losing argument for the same reasons that the Promissory Estoppel claim fails. Count 4 is for Negligence. Negligence has 4 elements. They are Duty, Breach, Injury, and Causation. Did the NCAA have a duty to the players? Arguably, the answer to that question is in the affirmative. “The NCAA had a duty to investigate and punish wrongdoers in a manner that did not unreasonably harm or injure innocent student athletes, including Plaintiffs.” The Complaint alleges that the NCAA breached that duty by failing to investigate and/or impose its penalties in a reasonable and prudent manner, and that because of the breach the players suffered damages. (Although it is not specified what those damages are.) This count is fairly generic and again, it essentially says that these players cannot have their accomplishments stricken, because they didn’t do anything wrong. Count 5 is for Conversion. Conversion is essentially, theft. The Plaintiffs are arguing that they had something of value, namely their status as champions or, in Hancock’s case, MOP award, and the NCAA essentially took these items from them. Count 6 is for Tresspass to Chattels. This is essentially another way to claim theft, and in this case, the theft is also of the records that the individual Plaintiffs possessed in the form of wins, MOP awards, and titles. Count 7 request declaratory judgment from the court that they are innocent of any wrongdoing, and that they were eligible during the 2011-2014 seasons, and that they were champions of the various conferences and the NCAA during those times. Essentially, they are restating what was discussed in the beginning of the Complaint. I wish that I could tell you that I was optimistic about their chances of being successful with these arguments, I just cannot. The bottom line for any lawsuit is this – Damages. What are they, and how much will it take to compensate you for them? I do not know, and it has yet to be quantified, exactly how much money the Plaintiffs will seek in this matter. But seeking damages is easy. It’s proving them that is a challenge. Each Plaintiff will have to demonstrate their loss, and they will have to quantify it. In personal injury cases, for example, we point to past medical bills, future medical bills, lost wages, and pain and suffering. No such calculus appears readily available in this case. What is an MOP trophy worth? What is being able to call yourself an NCAA champion worth? Furthermore, how do you prove it? Keith Poynter graduated from the Louis D. Brandeis School of Law in May of 2011. While in law school, Keith studied Sports Law as well as other core curriculum. Prior to becoming an attorney, Keith worked in the insurance industry for 6 years, and was a police officer in both Kentucky and Tennessee for 6 years. As an avid sports fan, former basketball official and current youth sports coach, Keith is heavily involved in sports when not at work or with his family at the lake. Keith's diverse background makes him an excellent source for legal opinion about issues surrounding the sporting world. Whether the matter be criminal or contractual, Keith's unique experience and education allows him to offer insight that may be missed by the casual fan. Keith is available for commentary on any legal issues that may arise in the Kentuckiana area and will routinely post articles concerning local and national sports law topics.